I’ve studied here and there through some great blog posts and tutorials and have learned the basics of shooting in manual. It’s so much better than auto (as I’m sure you’ve heard by now!) since you have so much more control of getting great pictures in any situation. But I have TONS and TONS to learn and I feel like my photography can definitely improve. Which is why I am SO excited to attend this amazing Photo workshop this Saturday!! If you are any type of photographer-professional or amateur (or very amateur like me)–you can benefit from this workshop! Honestly, the best way to get a feel for what this workshop can offer is to watch this video….and then you will really want to go! This workshop is in Gilbert, AZ. Please visit their website for all the details, location, teachers, classes, etc. 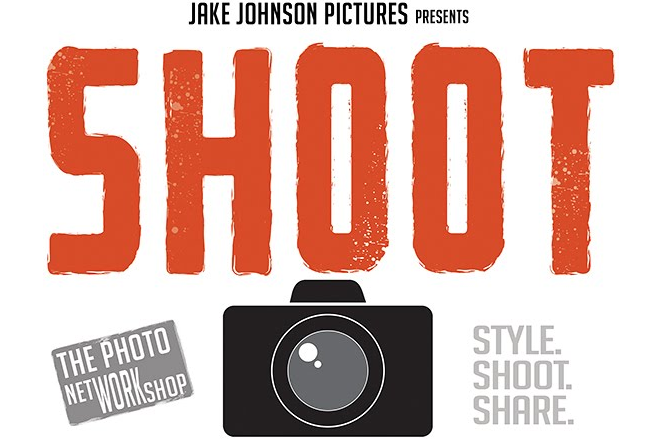 SHOOT is going to be held this spring in Utah–so if you are in Utah, go check it out! I hope that all you local AZ folk will consider attending this workshop! But guess what?? There is a free class at 9 am: Adios Auto! Today I am so thrilled to offer one of you a free ticket to the workshop this Saturday!! This is a $337 value! The workshop includes tons of awesome classes taught by amazing professional photographers and a Photoshop class in the afternoon. This is an amazing giveaway yall! Visit the Shoot Website and leave a comment telling me why you would love to go! For a bonus entry, share this giveaway on Facebook or Twitter! And PS…if you are thinking about this workshop but not sure, stay tuned for my followup review in a couple of weeks! And if you don’t have a dSLR, that’s okay! You can still learn how to take great pictures with a Point and Shoot! This giveaway is a amazing. I got a DSLR for Mother’s Day and I am stuck in this awful between Auto and Manual phase. This workshop would help me so much! I need some confidence to go manual all the way!! I would love to do this workshop!! Just look at the photos on my blog and you will see I NEED this workshop!!!LOL!!! Cool thanx for the suggestion, my photos could definitely use the help. I will check it out!